Want solutions to the most common problems and challenges websites faced in higher education? Looking for innovative approaches and best practices to improve the quality of higher ed websites? Entirely focused on higher ed websites, the 2019 Higher Ed WEBSITES Conference will take place on June 5, 2019. It’s the perfect event for professionals and teams looking for ideas, best practices and lessons learned to inspire their summer web projects! This online conference will feature a dozen of 10-minute sessions presented by higher ed web professionals working in institutions just like yours — with real websites solutions to real higher ed problems. This online conference, offers 12 focused sessions of 10 minutes each and a general session Q&A at the end. You will also have 2 built-in breaks of 10 minutes each after the 1st and 2nd hours of the event – to keep attention levels high throughout the 3.5 hours (and get coffee or grab a quick lunch ;-)). Say goodbye to your clearfixes—CSS Grid, the next generation of web design, is here. 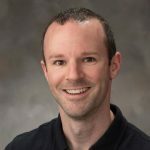 In this session, Ryan Dee will show how this new specification can help improve semantics, reduce file size and make previously impossible (or exceptionally difficult) layouts possible. You’ll also learn how to handle grid layout for legacy browsers, how it can complement Flexbox and why an atomic, utility-first approach might not be the best way to incorporate CSS Grid usage. Creating a large-scale university web framework requires not only flexibility but also a little foresight. In this session, Aaron Coleman will introduce the University of Nebraska-Lincoln Web Framework and explain how it came to be. You’ll also find out why and how the implementation of CSS Grid has set UNL (and its hundreds of thousands of web pages and scores of web applications) up for the future of the Web. If they can’t find your school when they search, chances are they won’t inquire, apply or attend. While organic search isn’t the only digital marketing channel for higher education, it does play a key role. 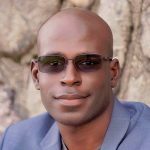 In this session, Joshua Charles will share lessons learned from Rutgers Business School’s journey in search engine optimization. You’ll learn more about the four connected directions your SEO efforts can take: content, technical, collaborative, and foundational. People, places, programs and policies are key content elements on higher ed websites. Using site search analytics and best practices in accessibility, the University of Nebraska at Omaha has focused on top user tasks to structure metadata to improve the findability of this information. In this session, Jason Buzzell will explain why and how structured metadata in your CMS template and from authoritative data sources like Peoplesoft, course catalogs and Google Business Listings can help you plan for the future of search. You’ll also learn how to get ready for the transition to voice search. Content KonMari: Create website content that sparks joy! Our higher ed websites can look and feel like the home of a hoarder. Unnecessary and outdated copy seems to lurk around every corner. 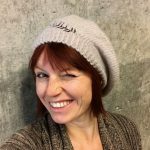 In this session, Conny Liegl will apply the principles of the KonMari method (from the organization expert Marie Kondo of Netflix fame) to your web content, so it sparks joy for your users and your school. You’ll learn how to visualize your goals, organize your copy,	purge unnecessary clutter and tidy up your website. How do you roll out a new brand across all your high profile web properties in 8 weeks? How do you do this when most of your team can’t contribute or even see the work, because of strict confidentiality conditions? At Charles Sturt University the web team is currently in the middle of this “Mission Impossible” challenge. In this session, Cade Whitbourn will explain how the team tackled this rebranding, with the help of a CSU Web Design System, a Kanban workflow based on Agile principles, and an innovative implementation focused on CSS overlays and dynamic runtime previews You’ll also hear about all the lessons learned in the process. Often composed of hundreds of different web properties, higher ed websites can be very complex ecosystems. UIC latest brand redesign provided the opportunity to develop resources for its 15 colleges and their units — and create a usable, accessible, responsive web experience. In this session, Kimberly Charles will share the process her team used to lead the transition from a collection of grassroot solutions to a unified institution-wide CMS, a WordPress multisite install, for more than 200 websites (and counting!) You’ll hear some tips and tricks you can use if you’re getting ready to embark on a similar project. What do GDPR and #Metoo have in common? The General Data Protection Regulation is mostly about transparency and consent. In this session, Courtnie Ridgway will tell you what you need to know about GDPR as web professional based outside of the European Union. You’ll learn about the implications of the regulations for Higher Ed and how Tarleton State University formed a Data Ethics Committee to help educate key members of campus. Higher ed web professionals know web accessibility isn’t a nice-to-have: it’s the right thing to do — and it’s the law. Yet, when the time comes to train all the web contributors on campus, it’s helpful to use research to make the case for web accessibility guidelines. In this session, Elizabeth Gray will jump start your training (or outreach) initiative by sharing rationale and research about Web Content Accessibility Guidelines (WCAG). You’ll learn how to convince (almost) everyone on your campus that accessibility matters. Like it or not, PDF files are still widely used on higher education websites – especially to share financial and tuition information. Unfortunately, PDFs aren’t accessible out of the box. In this session, Mike Henderson will show you his process to make your most complex PDF files accessible. You’ll learn how to work with Word and Excel as well as the Adobe Accessibility Checker to create accessible documents with tables, images, and headlines. The E-Expectations Study has provided reliable research data on the digital expectations of prospective students every year for more than a decade. Every year, the results of this national survey, conducted in March and April, are released in July. 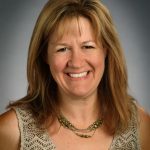 In this session, Stephanie Geyer will share an exclusive preview of the top 5 key findings on higher ed websites from April 2019. You’ll be among the first to get access to these findings that will help you inform your web strategy for your incoming class of college freshmen as well as the 2020 high school seniors. Ryan Dee has been building award-winning websites for almost two decades. As Senior Web Designer/Developer in the University of Nebraska–Lincoln’s Internet & Interactive Media group, he works with members of the university’s Web Developer Network as well as developers from other institutions to build and maintain a shared framework and public information applications with a focus on performance, accessibility and great user experience. Aaron Coleman is a Senior Web Developer with the University of Nebraska-Lincoln’s Internet and Interactive Media Group. He has been building websites for over 20 years and holds the infamous title of having edited the most pages ever on the university website. A marketing manager with a development background, Josh leads website strategy and governance for Rutgers Business School. He is passionate about all areas of marketing technology and how to leverage those components to solve digital marketing challenges in higher education. When not in the weeds of strategy, analytics, or code, he’s guiding and supporting his team in their growth as professionals. Jason is currently the Director of Digital Communications at the University of Nebraska at Omaha (UNO), BS’05. His team works on digital governance and products that enhance the digital experience for visitors to UNO through a consistent, efficient brand experience. 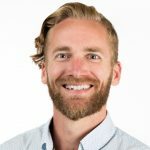 Jason’s previous work includes being a Digital Strategist at the University of Alberta, MA’15, and a Web Business Analyst with the Alberta Motor Association. 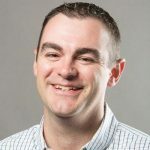 A curler, ball player and novice hockey coach, Jason grew up just outside Edmonton, Alberta, Canada and lives in Omaha, Nebraska, and is passionate about promoting the growth in cities’ digital strategy scene near and far. Conny Liegl is the Senior Designer for Web, Graphics and User Experience at Robert E. Kennedy Library, Cal Poly. With 15+ years of experience working in international higher education institutes, Liegl is passionate about solving problems and finding the right research tool for any audience, purpose and budget. She regularly shares methods, insights and best practices with the UX community. Making empathy part of her process, she champions the needs of the users. You can follow her at @connyliegl. Cade is the head of CSU’s centralised Web Office, with overarching responsibility for oversight, maintenance and improvement of CSU’s web environment. Cade has 19 years experience in web design and development across a range of industries including non-profit charities, online dating dotcoms, financial services, public sector (health) and higher education. Kim has worked on small and large websites in Higher Education for nearly 20 years. 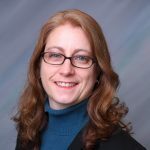 As a member of the Public and Government Affairs leadership team at the University of Illinois at Chicago (UIC), she leads the effort to address the content and development needs of mission critical websites as well as addressing needs across campus websites of information architecture, content management, usability, accessibility, identity standards and analytics. All of which is possible through a collaborative effort between her Digital Communications staff and a team from UIC’s Academic Computing and Communications Center. She has a Master’s degree in Communications from UIC and an MLIS degree from the iSchool at Illinois and loves biking along Lake Michigan from her home in Chicago. 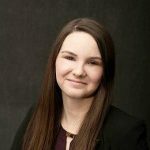 Elizabeth Gray currently works as a Web Developer for the Dean’s Office in the College of Engineering at Purdue University where she is involved in web development, accessibility updates, web analytics, and web training. Elizabeth has over 8 years of professional experience in IT based web administration and communication based web development and instruction. She previously was employed at Saint Joseph’s College in Indiana, where she was Web Administrator, overseeing deployment of one of the earliest responsive higher ed websites in the US. 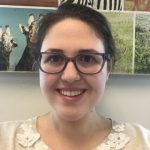 Elizabeth holds a master’s degree in library science from Indiana University, which may account for her love of research, her interest in accessibility for all, and her need to organize everything. 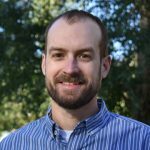 Mike Henderson is a web application developer at Adams State University, located in Alamosa, Colorado. He enjoys finding and learning new techniques and technologies to deliver performant and accessible web experiences. When not in front of the computer you can find him mountain biking southern Colorado. Stephanie Geyer directs digital marketing projects and oversees the creative services team for Ruffalo Noel Levitz. In more than 20 years as a higher education consultant, Ms. Geyer has served at least 350 institutions in the United States, Canada, Italy, and Brazil, such as Arizona State University, John Cabot University (Rome), Golden Gate University (CA), and Sterling College (VT). In addition to providing consulting services, Ms. Geyer frequently delivers conference presentations about using the web as a recruitment communications tool, including at the RNL National Conference as well as the Higher Ed Websites Conference (2018) and the AMA Symposium for the Marketing of Higher Education. She manages the yearly E-Expectations market research project on the internet and e-recruitment behaviors of prospective college students and their parents. Prior to joining Ruffalo Noel Levitz, Ms. Geyer directed recruitment marketing programs for Wilkes University (PA), where undergraduate enrollment increased by 22.7 percent and retention increased by 11 percent. Previously, she held media and public relations positions for an advertising agency, a resort center, and a television news program. Ms. Geyer received her bachelor’s degree in Mass Communication from Bloomsburg University of Pennsylvania and an MBA certificate from Tulane University. Should I attend the Higher Ed WEBSITES Conference? The fee is for a single computer/audio connection with an unlimited number of attendees watching the live online event. A 1-year unlimited access to the recordings of the sessions on-demand through a link that we will provide to you. If the conference cannot be held (due to unforeseen events) on its scheduled date, it will be rescheduled on its rain date: June 12, 2019. This online conference, now available on-demand, offers 12+3 focused sessions of about 10 minutes each and a general session Q&A. If you want your web team to play a more strategic role at your institution, you won’t succeed by operating like the website help desk. 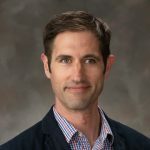 In this session, Cade Whitbourn will explain how his team switched from the service-model to a more strategic approach via the creation of an annual schedule of strategic web initiatives. You’ll find out more about the planning, process and delivery of this annual program as well as some lessons learned by the team. Higher ed websites have to be accessible.With the increasing threat of legal action and the federal push for Web Accessibility in higher education, the compliance process can look challenging – and even frustrating at times. In this session, Jessie Groll will show us how making your website accessible can be achieved as you keep working on everything else on your list. You’ll learn about the tools (some free!) you can use to assess your site, how to break down the errors in manageable chunks and some useful lessons learned to achieve Web accessibility compliance. Are you afraid of the damages the bots can cause to your website or your web hosting bill in case of a DDoS attack? Do the risks for your web server keep you up at night? Somewhere between IT and communications lies technology to both secure web environments and availability. In this session, Cody Benson will explain how to make the case for DDoS Protection Services from the technical, organizational and budget standpoints. You’ll also find out more about what this kind of web hosting protection can do for your school. Images make your website beautiful and engaging. They also tend to make it fat -and slow to load, too. This is why it’s so important to optimize these biggest assets and how they load on your web pages. 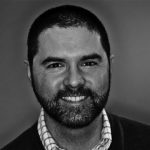 In this session, Dan Herrero will explore the techniques for progressive lazy loading of images he relied on for Lehigh’s digital storytelling efforts. You’ll also hear about the reasons to use progressive image loading, how it was done (with code examples) and how to evaluate success when using this technique. Whether you redesign your website, change some of its information architecture, implement a new CMS or switch to HTTPS, any change can have deep impact on your web traffic, analytics and sanity. So, how do you make sure nothing gets lost in the process? In this session, Rebecca Larson will share tips and lessons learned to help you prepare and plan for this kind of transitions. You’ll learn more about the process her team used to make sure the website relaunch of Wheaton College went smoothly. In this session, Stephanie Geyer will share an exclusive preview of the top 5 key findings on higher ed websites from April 2018. You’ll be among the first to get access to these findings that will help you inform your web strategy for your incoming class of college freshmen as well as the 2019 high school seniors. A website just for you: creating a personalized web experience. Personalization is a popular “buzzword” in higher education – and elsewhere. Nothing like a web experience designed “just for you” to make you feel special and keep you engaged. In this session, Nicole Montgomery will tell you how her team created “My York Experience” to provide prospective students with personalized content each time they visit York website. You’ll also learn more about the types of content as well as the analytics driving this web personalization tool. Case Western Reserve University needed a new admissions website to attract the best and brightest prospective students. Fast. In this session, Emily Mayock will tell you how her small team redesigned a student-centered website in only 4 months. You’ll learn through this case study what you can borrow from their process if you plan to redesign your admissions website to better serve prospective students and their fleeting attention span. While some of your campus stakeholders might disagree, the only reason why higher ed websites should be redesigned is to better serve the needs of their users. In this session, Dave Poortvliet will show how much you can learn by simply talking to and listening to them. You’ll find out more about 5 research-based techniques to help you see and hear what your visitors really need from your website. Website redesigns in higher education are perilous quests of consensus and collaboration among multiple campus stakeholders. The best strategy to reign in insiders is often found outside of our institutions. In this session, Robert Blizzard will share how he used participatory design techniques – with high school students – to co-create his school new admissions website. You’ll also find out more about the techniques that generated amazing insights and the ones resulting in fantastic flops. After trying a variety of tools and processes, St. Mary’s University has identified a few tools which have proven the most valuable in keeping its websites usable, accessible, and up-to-date. In this session, Elaine Shannon will present each tool, its value and its (most of the time low) cost. You’ll learn more about tools to organize your information hierarchy, conduct A/B or usability testing, create wireframes in the cloud and more with the ultimate goal of helping you improve your higher ed website. Programs like Sketch and Invision are totally changing the web design process. Since it was first introduced in 2010, Sketch is now considered the industry standard by many. In this session, Kris Hardy we will show you how to use Sketch to wireframe, design and prototype web pages. You’ll find out how this tool – along with some Invision plugins – can dramatically improve the web design process of your entire team. There are many reasons to make sure your University’s website is accessible. It is the right thing to do. Many people can benefit. The threat of litigation. Whatever your motivation may be, you need someone to lead the way, you need help and resources, and you need a plan. In this session, Joel Vertin will share Michigan Technological University’s plan for achieving accessibility compliance. You’ll hear about timelines, strategies, actions, and people involved in the process to start your own plan. Considering redesigning or relaunching your university website? It’s never a small endeavour whether it’s the institutional website or a department site. In this session, Elizabeth Bandy will share 5 lessons learned while relaunching 35 sites for the University of Utah, David Eccles School of Business. You’ll learn some good and practical tips to help you check departmental website redesigns off your list by managing technical, design and human factors. Designing and developing websites from scratch takes time – even in WordPress. Solutions like Divi theme offer an alternate way to build websites with a front-end WYSIWYG editor. In this session, Conny will give us a tour of Divi highlighting the pros and the cons of such a solution. You’ll find out what she learned testing this visual solution on the Kennedy Library website. 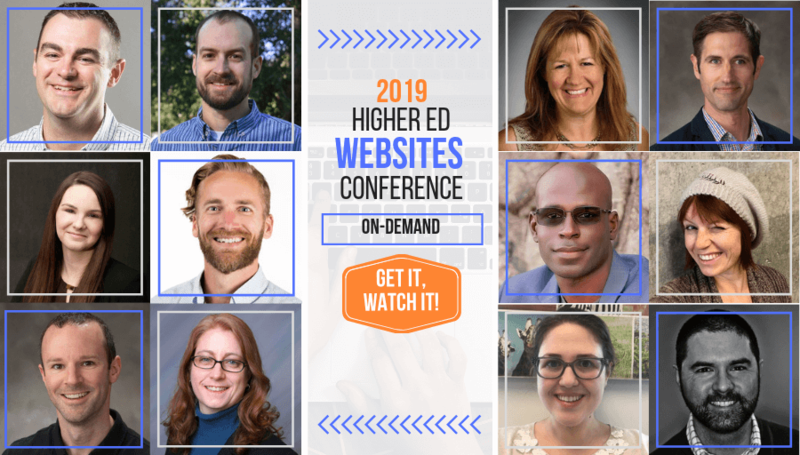 Want to attend the Higher Ed WEBSITES Conference? It is very helpful to hear from Higher Ed Web professionals like myself. I learn the most from them because they speak from current real life experience. Many of us are going through redesigns of our website, ADA compliance, and now the latest, GDPR. The experience was very beneficial for our Director of Web Development, just a bit too technical for some of our other team members. We only have 1 staff member solely dedicated to the website - the rest of us are support personnel. This conference exceeded my expectations in providing on highly relevant, timely information for higher ed websites. Fantastic, rapid flow of invigorating ideas and useful takeaways - from each presentation! The conference was great! Our team enjoyed the 10-minute talks, because it was the perfect timeframe to keep our full attention and go into enough detail that allowed us to walk away with helpful information. Enjoyed the quick pace and the wide variety! I had a really great experience, and all the sessions were what I expected. The polling feature in the new conferencing system was great. I like the multi-dimensional approach to web work--strategy, process, approach, management, content, context, and tools--as well as technical.